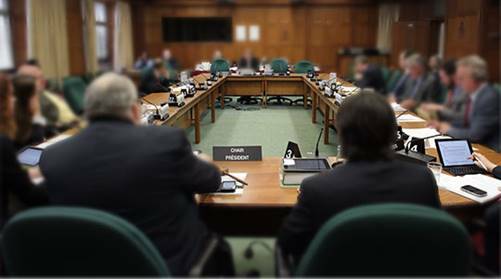 Last Tuesday, CIET was invited to provide testimony to the House of Commons Standing Committee on Natural Resources (RNNR) in Ottawa. The Commons Committee is currently studying the economic opportunities for energy efficiency in Canada, and its contributions to Canada’s Paris climate change commitments. The testimony given by participants will ultimately help shape the report that the committee will prepare and present to the Federal Government. CIET’s remarks on the economic impact of Energy Efficiency were focused on the job creation and skill development, competitiveness of buildings and industry, and potential to increase exports of unused energy – all of which can have positive results when energy consumption is reduced, and efficiency is increased. It was also noted that the increased attention on Energy Efficiency over the past few years has coincided with an increase in CIET’s activities and program streams, specifically as it pertains to training and building the capacity of those managing EE programs, controlling energy systems and settings, and of those who need to increase their awareness in order to support their organisation’s energy plan.